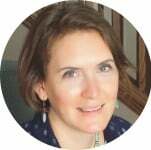 Often when you search on a large online genealogy site, you will find records that are actually finding aids or indexes. 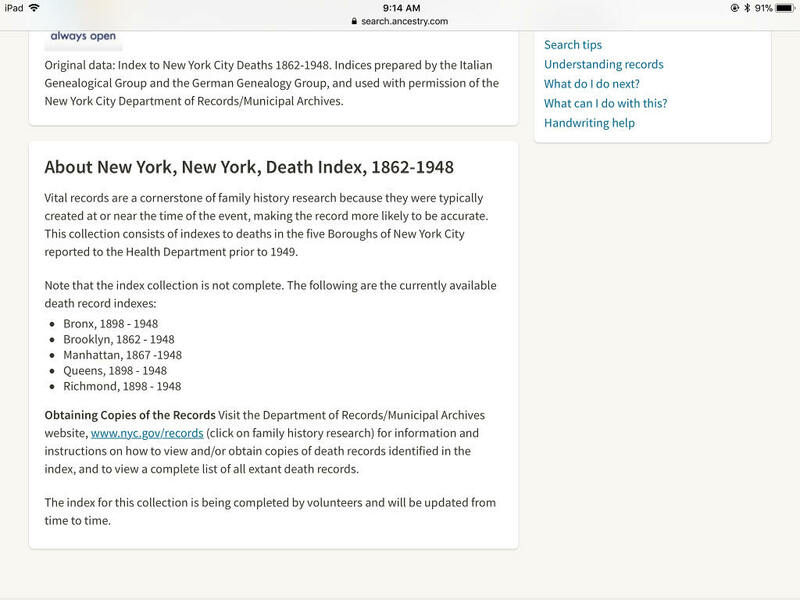 That is the case with the New York, New York, Death Index, 1862-1948, found on Ancestry.com. These index only collections can give you a few details from the record that have been extracted for the index. However, the indexed information does not include everything that is on the original record. Whenever possible, it is always wise to obtain the original record in order to be thorough in our research. 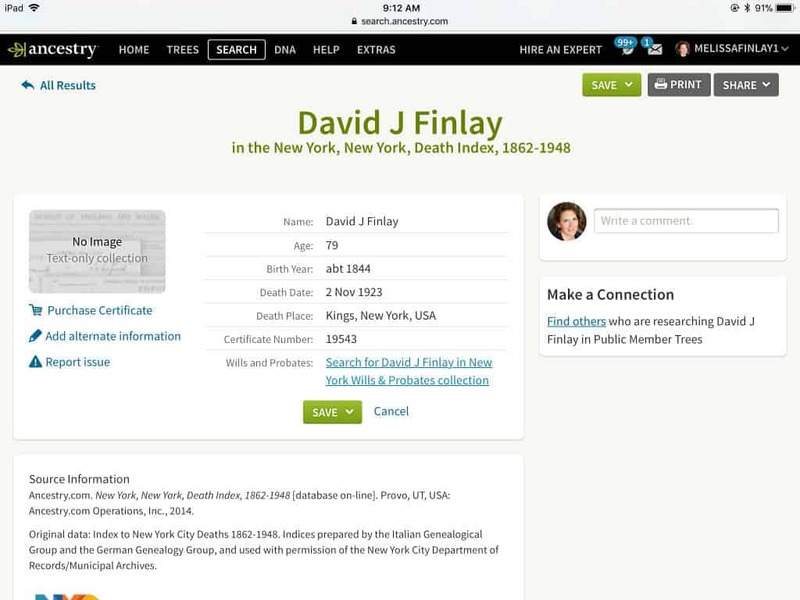 Let’s take a look at the death index entry for David J. Finlay: He died 2 Nov 1923 at age 79 in Kings, New York. His birth date is listed as about 1844. The index also gives his death certificate number: 19543. That is the extent of the information from this index entry. What does the description of the database say about where this information came from and where more information can be found? As you scroll down the page on the index record, there is a short description section followed by a “learn more” link. Clicking the link leads to more specific dates included in the index per borough. It also has a section on “Obtaining Copies of the Records.” Copies of the original records can be obtained from the Department of Records/Municipal Archives. 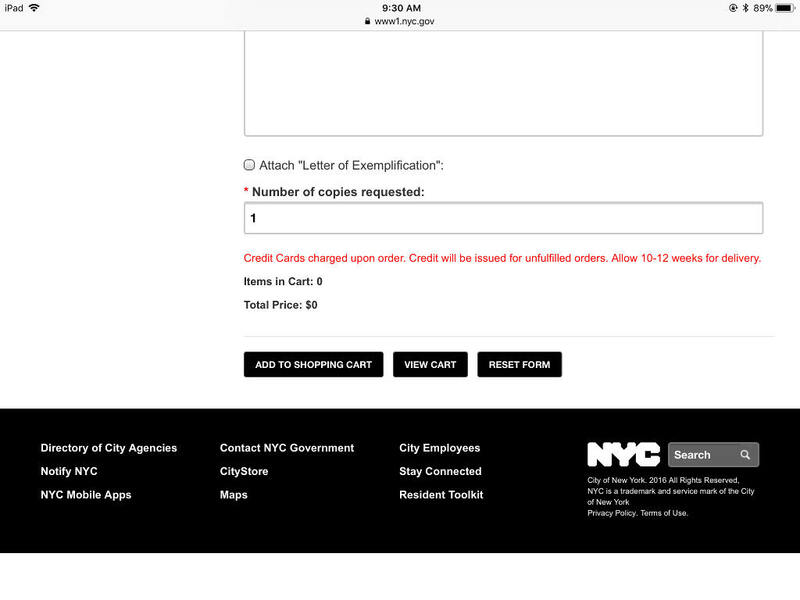 By clicking the link under “Obtaining Copies of the Records”, you are taken to the NYC records department website. The order form is very simple to fill out online. The fee is not stated on the website, but it is likely $11 or more per request (based on the in-person fee for a copy). The drawback with ordering any document is the wait, in this case 10-12 weeks. 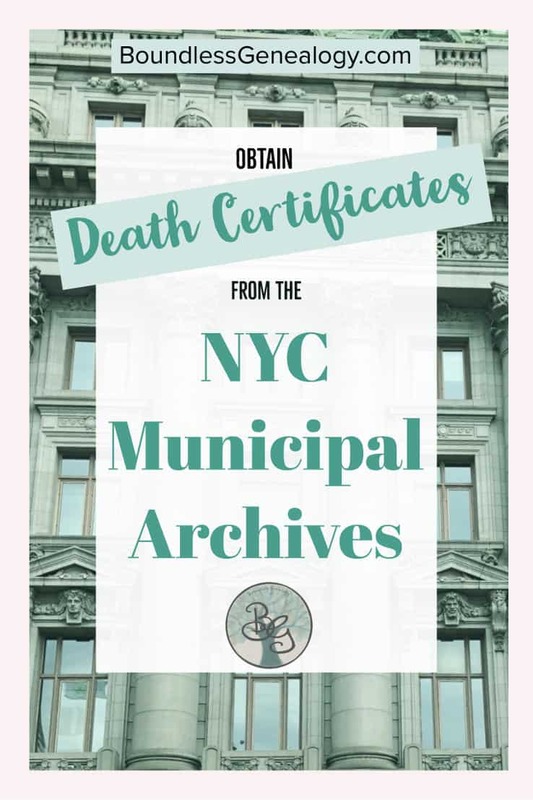 Another option for obtaining the death certificate is an in-person visit to the NYC Municipal Archives at 31 Chambers St., New York City (Manhattan). 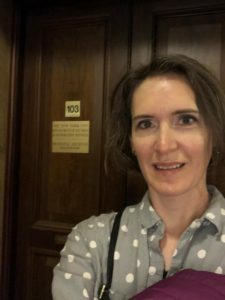 The records department shares space in the same building with the court, so you do pass through a rigorous security screening to enter the building. The Municipal Archives is to the right after you pass through security in office 103. Once you enter the department, you will sign in with the main desk and state your business. They do ask that you look up one certificate at a time to verify it is the one you need, and then fill out one copy request form at a time and return it to the main desk before you begin your next search. There are signs posted that clearly state that no digital copying is allowed onsite and you must obtain copies through a request form and paying the $11 fee. The steps to obtain a death certificate on site are simplified if you come with the information from the death index in hand. The borough, year of death, certificate number, and name of deceased are all needed. 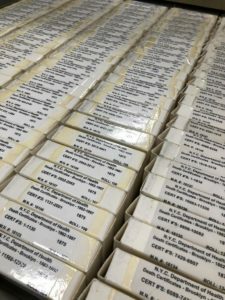 The death certificates are on microfilm and contained in two filing cabinets between the far bank of windows in the archives department. The cabinet is arranged by borough, then year, then certificate number. 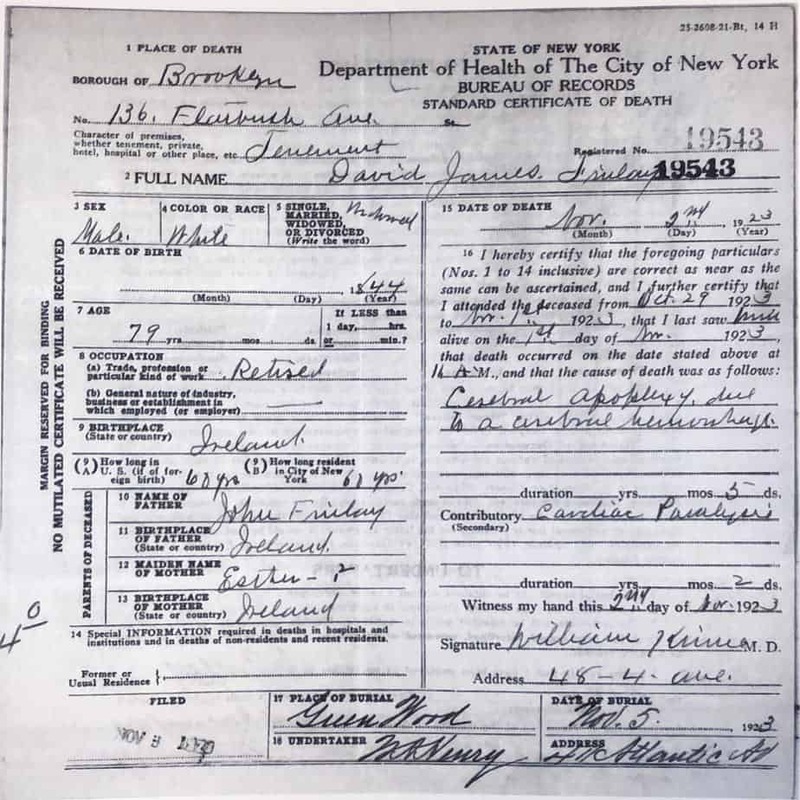 In the case of David J. Finlay, I found the section for Brooklyn (Kings County, as the index listed), then the year 1923, then looked for the roll containing the range of death certificate numbers that included #19543. I loaded the film on an empty microfilm reader and scrolled to certificate #19543. The certificate had been indexed correctly, and I had looked it up correctly. After verifying this, I filled out the copy request form, returned the film to the cabinet and returned the order form to the main desk. I followed the same steps for the other five certificates I was there to obtain. After turning in each of my six request forms, I informed the desk attendant that I would be waiting for my copies. She let me know when they were all ready, and I paid the fee of $11 per certificate. This fee does include all pages of each certificate: front, back or additional forms. I would recommend taking a file folder or a manila envelope to carry the copies away in. Here are the copies I received for David James Finlay’s death certificate, including front and back. 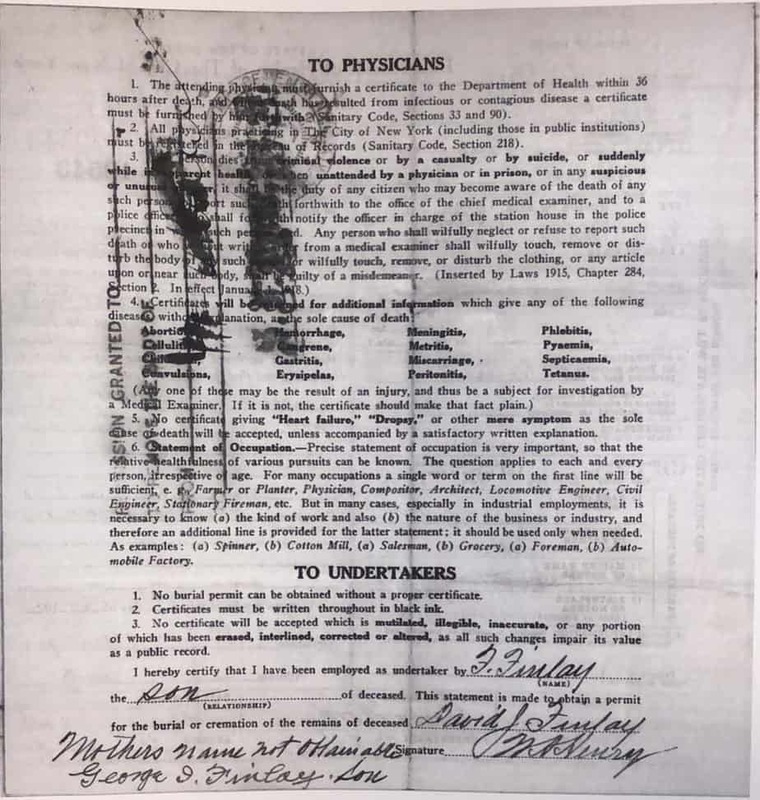 His death certificate contains many more details than the index database did. Many of these clues will be very helpful in my continued research on David and his family. During my trip to the NYC Municipal Archives, I was only interested in obtaining death certificates. However, birth and marriage certificates are also housed there and can be obtained through a similar process. Do you have any of those “index only” records attached to your online tree? I encourage you to follow that lead back to the original source. Don’t leave any clue uncovered in the pursuit of your ancestors! death certificate, New York, NYC Municipal Archives, research. Bookmark. Hi Melissa! 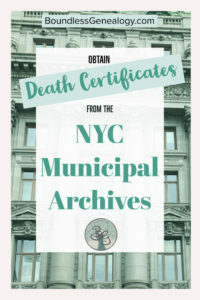 I received two NYC death certificates recently after a long drawn-out affair with the Archives staff. Both had the certificate numbers but also Medical Examiner numbers. I asked for those reports also but nothing. Have you had any experience with these M.E. certificates? Jacquie, That is an interesting finding. I have not looked into Medical Examiner records myself. The Medical Examiner office keeps records for a limited number of years, but some other libraries and archives have at least a portion of the historic collection. I found a few options listed on this Ancestry message board thread: https://www.ancestry.com/boards/thread.aspx?mv=flat&m=13084&p=localities.northam.usa.states.newyork.counties.newyork It looks like some are available through the Queens College Library, and through the Family History Library (FamilySearch.org). Good luck! I’d love to hear more if you track those records down.